Have you ever been doing something, like playing a game, and had that obnoxious Sticky Keys dialog pop up? You answer No and it goes away… and then shows up again the next day. Here’s how to make it go away for good. In case you aren’t sure what we mean… hit the Shift key five times fast. Yeah, annoying. It’s a helpful accessibility feature for some people, but it’s really irritating for the rest of us. 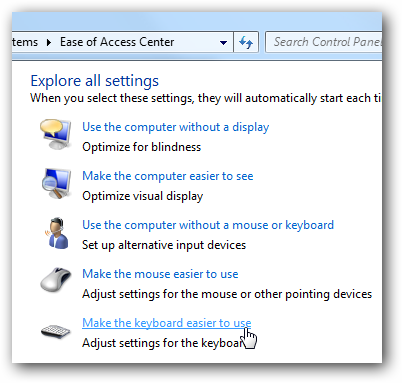 If you didn’t click on the “Go to the Ease of Access Center” link, you can simply navigate in Control Panel to the Ease of Access center, and find the link for “Make the keyboard easier to use”. Once you are there, you’ll want to make sure the boxes for “Turn on Sticky Keys” or “Turn on Filter Keys” are turned off—which simply means the feature isn’t active at the moment, but doesn’t mean the annoying popup will go away. For that, you’ll have to click on either “Set up Filter Keys” or “Set up Sticky Keys” (or both). 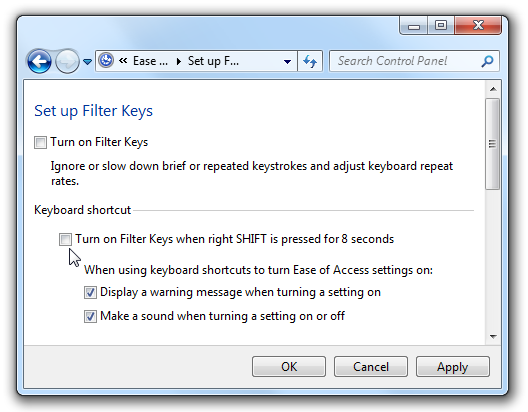 If you went to the Filter Keys setup screen, remove the checkbox from “Turn on Filter Keys when right SHIFT is pressed for 8 seconds”. This will completely disable the irritating popup. 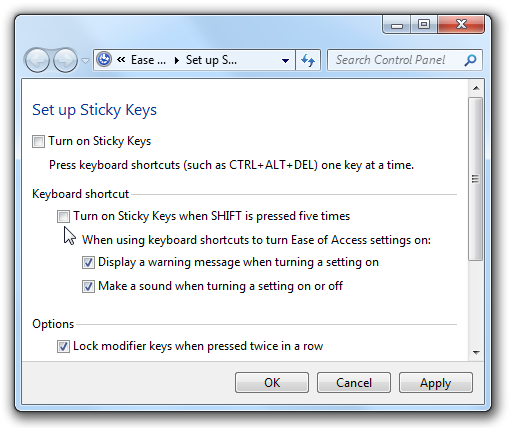 If you chose the setup for Sticky Keys, uncheck the box for “Turn on Sticky Keys when SHIFT is pressed five times”. And that should disable the annoying popup dialogs for either Windows 7 or Vista. 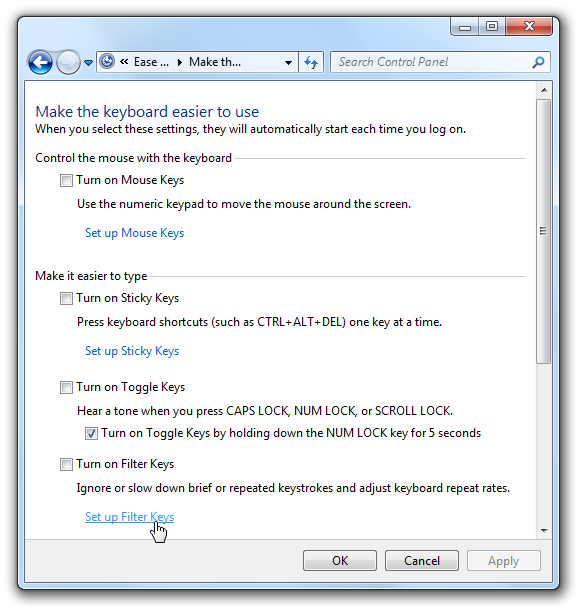 Windows XP users will find similar shortcuts under Accessibility in Control Panel.